In December most Belarusian commentators focused on significant events of the 2011 and forecasts for the year 2012 – their outlook was rather pessimistic. The Independent Institute of Socio-Economic and Political Studies published results of its recent polls which show that over 80% of Belarusians think that the economy of the country is in crisis, and over 55% believe that the country is moving in the wrong direction. However, the number of those who consider themselves in opposition to the current government is slightly more than 20%. Independent Institute of Socio-Economic and Political Studies: December 2011 National Poll. Alexander Lukashenka’s electoral rating in comparison with September 2011 (20.4%) slightly increased to 24.9%, and so did the level of public trust in the president –up from 24.5% in September to 31.2% in December. However, if people knew of an alternative candidate who could compete with Lukashenka for elections, 44.6% of people would vote for such a candidate, while of 21.7% would cast their ballot for Lukashenka. 81.5% of Belarusians believe that the country’s economy is in crisis (compared with 87.6% in September), and 45% of respondents believe the situation will get worse (compared with 52.7% in September). 55.7% of Belarusians think the country is moving in the wrong direction (compared with 68.5% in September) and there has been a 2% increase among those who believe their situation has improved since September. At the same time, 70% of respondents prefer reforms to maintaining the status quo in the country, while 57.7% would like to see radical changes in Belarus’ domestic and foreign policy in the next five years. IISEPS concludes that these “cautious” changes are due to “negative adaptation” of Belarusians and financial aid from Russia. Yet, the number of people who consider themselves as opponents to the current government dropped from 28.3% in September to 22.6% in December 2011. What will Happen to Belarusian Civil Society in 2012? – Head of "EuroBelarus" Vlad Velichko believes that 2012 will be difficult for civil society, given the negative trends of the last year combined with the upcoming parliamentary elections. Velichko identifies two major achievements in 2011: "First of all, this is an impressive cooperation and solidarity of organizations and citizens after the events of December 2010 …Second, it is …the ability of the National Platform to give regular assessments of the main socio-political events in the country and in the world … It is customary that such a role should be performed by politicians, but it seems that in today's environment it is the mission of civil society." The Third Sector Looks to the New Year without Optimism – Representatives of the Belarusian democratic NGOs – Oleg Gulak, Valentin Stefanovich, Sergey Mackievich – believe that the situation in the coming year in the third sector in Belarus is unlikely to improve. Political Results of 2011. Nothing Good? – Online newspaper Naviny.by asked the Belarusian politicians which events of 2011 they consider to be the most important. The majority of respondents named the establishment of the Common Economic Space, as well as Belarus' signature of an agreement in the Customs Union and CSTO (Collective Security Treaty Organization). Economic Policy in 2011: Choosing between the Bad and the Worse – Solidarity with Belarus Information Office in Warsaw sums up “the economic” results of the year. The Office’s experts consider 2011 to have been the worst year in the last decade, in particular compared with 2010, the “golden year” for the country’s population. The day of reckoning for the economic mistakes did not keep Belarus waiting: the currency crisis hit the country two months after the presidential elections and gradually translated into an economic and management crisis by summer. Nine months after the elections, real incomes of the population were cut in half. Economic Results of 2011: Scandals, Victims, Incidents – The national bank is recognized as the worst governmental body, the victim of the year is the ruble depositors, and the scandal of the year is the foreign exchange shortage. These are the results of the economic development of Belarus in 2011, according to experts of the Mises Research Center and Analytical Center “Strategy,” Yaroslav Romanchuk and Leonid Zaiko. Media 2011: Terrorists in Second Place after the President – TUT.BY sums up 2011 in terms of the most popular media topics. In particular, the top topic is the Belarusian ruble (5 million pages in BYnet). The most popular person, with a large margin, is Lukashenka (2 million pages). Event of the Year is a blast in Minsk subway, as well as Konovalov and Kovalev being sentenced to death (335 thousand pages). TUT.BY expert notes that there are very few media personalities in Belarus, one reason being that a rise in popularity in Belarus ends badly because it creates a treat for the existing status quo. 2011. The Excited Events – TUT.BY publishes its version of the most significant events of the year in Belarus. The web-portal notes that 2011 brought little that was positive in the life of the country: the explosion in Minsk subway, the economic crisis, new forms of protests, the trials of the ex-presidential candidates, Eurasian integration, etc. Alexey Pikulik. STRATEGIES. December 19, 2010: Dependence Square – Alexey Pikulik, BISS academic director, examines the balance of forces in Belarus over the last year and states that "the ball is still on the side of Lukashenka." Pikulik envisages two ways to change the status quo: an external shock, which can be caused by a sudden democratization in Russia, or inner work on the channels of influence on the Belarusian authorities. Yet, the number of people who think of themselves as opponents of the current government is slightly more than 20%. Noncircular Anniversary – Vadim Gigin, an official ideologist and editor of "Belaruskaya Dumka", returns to the Ploscha events of 2010. Gigin accuses Western capitals over the mass riots: "The EU and the US because of their stupid harsh reaction on their failure of his own provocations gained … accelerating the integration of Belarus and Russia." The author concludes that "the Belarusian authorities won in a stunning victory on the political front," but at the same time he calls on the authorities to tackle the economy. At least 3% of the economically active population leave Belarus – The outflow of undocumented migrant workers from Belarus is more than 30 times the registered labor migration rate, Alexander Luchenok and Irina Kolesnikova believe. Their study, "Impact of migration on the socio-economic indicators: the experience of Belarus," is supported by the Belarusian Fund of Public Policy (BPPF). The study not only describes the risks entailed by the growth of labor migration from Belarus, but also gives recommendations for solving problems. 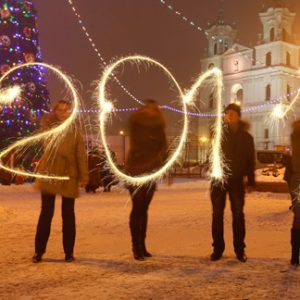 Belarus Digest compiled a list of most read articles in 2011 and wishes you a Happy New Year! 1. Cheap Booze For The People Of Belarus. As the economic crisis deepens prices on nearly all products rise sharply in Belarus with one remarkable exception – alcohol. These days a bottle of vodka in Belarusian restaurants often costs less than a packet of orange juice – US$3. In a supermarket half a liter of a cheap alcoholic drink with around 30% alcohol content costs around US$0.65. Yesterday the government increased taxes on alcohol and tobacco, but the state policy of providing affordable alcohol and tobacco remains unchanged. 2. The Consequences Of The April 11 Minsk Bombing. The explosion in Minsk underground is the most tragic terrorist act, which Belarus has seen since the end of the Second World War. The bomb exploded at the busiest station of Minsk subway on Monday evening. Over two hundred people injured and eleven reported dead as a result of the rush hour bombing in the capital of Belarus. It was clearly a terrorist act. Who is behind it is a more difficult question. Belarus is not waging any wars, has a homogeneous population and no unsettled territorial disputes. 3. Belarus Economy: In A Queue For US Dollars. The Belarus Ministry of Statistics reports that the GDP growth for January-February was 7.8%. It could seem impressive but other indicators tell us a totally different story. The gross external debt for 2010 was already US$28.5 bn, which makes 53% of GDP and it continues to rise. And the total foreign reserves contracted to US$4 bn (by 25% from December 2010), while the foreign currency reserves account has only US$1.3 bn (see Belarus National Bank statistics). In January-February the deficit of trade balance was nearly US$2 bn. It is only with Russia that it reached US$1.3 bn in those two months. So the foreign currency reserves are barely enough to cover the monthly amount of import. 4. The Black Tuesday Of The Belarusian Economy. This year's devaluation of Belarusian currency was the largest in the world for the past 20 years, according to the World Bank. Independent media already called the day of official devaluation "the black Tuesday". However, Belarusian state media largely ignore this news focusing on the visit of Alyaksandr Lukashenka to Kazakhstan and the Cannes Festival in France. 5. A Stab In The Back? Lithuania Leaks Information About Belarusian Activists. Yesterday Mikalay Khalezin, the head of the Belarus Free Theatre accused Lithuania of handing information about accounts of Belarusian activists and NGOs in Lithuanian banks to the Lukashenka regime. At first it was hard to believe what Khalezin wrote in his blog. But on the next day the Lithuanian Ministry of Justice confirmed it. 6. Belarusian Vice Prime Minister: The Situation In The Country Is A Shame. On Thursday Nadzeya Yermakova, chair of the Belarusian National Bank, unexpectedly admitted that the government has almost no gold or foreign currency reserves. The National Bank only has USD 1.2 billion. The rest – 3/4 of the reserves – was borrowed from Belarusian commercial banks. 7. No Belarusian Roubles Please. If you are in Belarus and only have Belarusian roubles to pay for your ticket – be prepared to stay in the country a bit longer. AirBaltic and some other companies operating in Belarus no longer accept Belarusian roubles. Instead they insist on payments in Euros – a currency which is nearly impossible to buy legally in Belarus. Today it became even more difficult as the National Bank of Belarus recommended commercial banks only to buy, but not to sell, foreign currency. 8. Andrew Wilson On His Belarus Book And Lukashenka's Survival. 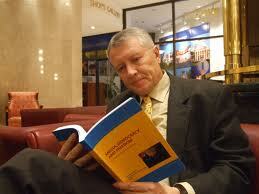 Last month Yale University Press published Andrew Wilson's book "Belarus – The Last European Dictatorship". The book covers Belarusian history from Polatsk Principality to the present day Belarus and offers particularly interesting insights into Lukashenka's rise to power and the system which managed to help him survive for such a long time. 9. The Hidden Problems Of The EurAsian Union. On 18 November presidents of Belarus, Kazakhstan and Russia met in Moscow and launched the Single Economic Space. They also signed the Treaty on the Eurasian Economic Commission.If three countries ratify these acts in the near future, on 1 July 2012 the Customs Union’s Commission will be abolished and all its powers will be transferred to the Eurasian Economic Commission. The Eurasian Union founders use the European integration experience as a model. However, it is hardly possible that they will form a harmonious union because of a number of political, economic and intercultural problems. 10. Belarus In Eurovision 2011: More Politics Than Music. Open political statements are not allowed at the Eurovision Song Contest, but to many this year's Belarusian contribution to the contest as pure politics. In Belarus, the first version of the Eurovision song stirred contradiction from the very beginning. Initially, the song's title was “Born in Belorussia". This song was allegedly alluding to the nostalgia about the good old times in the former Belorussian Soviet Republic. Very few were concerned that the young singer Anastasiya Vinnikova was born in 1991 and has therefore never lived in the former Soviet Union.